Champagne...so smooth and elegant. From her sleek long neck bottle, to her precisely placed labels… you can not wait to pop her cork to taste that sweet, bubbly champagne. Deep in the valleys of northern France, is a region primarily known as Champagne. It is here that you will discover the grapes necessary for this silky drink. Growing within the vineyards of this region you will find black Pinot noir, Pinot Meunier and also white Chardonnay as these are what bring the rich flavors to our palate, once we taste that sweet champagne. It takes approximately three years of growth, for a vine to produce the grapes that are used in this process. Each September at the precise moment when the sugar content is at its best, the clusters of grapes are harvested by hand. Immediately they are pressed and go through a rigorous process to develop what is called Champagne. It’s a process that can take up to two years to complete. Nonetheless, the best champagnes are those that are left to age, thus creating that sweet, smooth, woodsy and elegant taste we come to appreciate. Some entertainers are like champagne. When they first emerge onto the country music scene, they are quite elegant and crafty with their music. However, they lack the refinement that comes with experience. The turn of the century brought Lari to the big screen. Ms. White appeared in the opening and closing scenes of the 2000 film Cast Away, co-starring with Tom Hanks. Then life happened. Lari married singer and songwriter Chuck Cannon. The two created three children. Lari faded into the spotlight of country music and devoted her time as a wife and to motherhood. Some of the most finest champagnes are left to age. In the dark, cool and dusty cellar the bottles sit year after year of maturation. It is at this time that the wines and yeast share a complex relationship for several decades. This is how the rich mature aromas make truly great champagnes. When an entertainer is left to their own creative process, they can emerge as their true self. Given time, just like a bottle of champagne, the entertainer will create some of the most beautiful music. 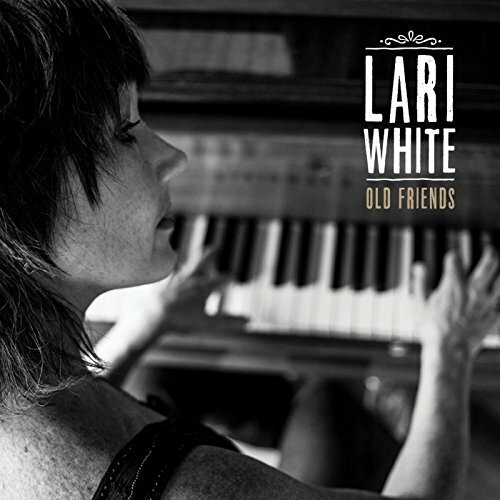 After a decade long hiatus, Lari White returns to the country music spotlight with a brand new album called Old Friends, New Loves. The release and Lari’s return coincides with White’s 25th anniversary in the music industry. Lari’s new album is a two-disc combination of classic songs and new songs. On the first disc, appropriately entitled Old Friends, she includes eight of her more popular previously recorded songs. Ms. White does not take impassive approach to these songs by including previously recorded versions. In fact, she includes all new eclectic versions of these classic songs. The Old Friends portion opens with “Wishes.” White gains vocal help from fellow musician and friend Suzy Bogguss to enhance this fan favorite. If you listen close to the melody of this song you will hear the addition of a drum that adds a touch of sophistication. It’s that creative finesse that dignifies the artistry behind the song. White gains the help from Delbert McClinton and LeeRoy Parnell in a new recording of “Lead Me Not.” The revitalized version of this song brings a sense of pure heart and soul. McClinton’s vocals compliment White’s while giving us a more rounded Gospel-esque feel to the song. Each of the songs on this side of the project are truly elegant and emotionally rich. White performs each in a gentle, finely-calibrated and simple arrangement. The best example is found in her newly recorded version of “If You Only Knew” as it consists of an acoustic guitar mixed with Lari’s refined vocals. As hypnotic as these songs are in their new revised versions, there are two that stand out amongst the rest. The new passionate version of “Now I Know,” creates a dramatic song that will hit our list of Top Songs of 2017 while earning a nomination for the Spirit Award’s Song of The Year Award. “I love that old school crafting of the song, you know. Cole Porter, Gershwin, and the masters, I really love the craft of that style of writing.” shares Lari. The second song to hit this list from this side of the project is “Eden Before The Fall.” In this autobiographical song, White adds various sound effects to create an ambiance that enhances and brings the artistic value of the song up a level. Listening to the Old Friends portion of the album reminds us of the entertainer we came to love in Lari White. Nonetheless it’s the new incarnations of these classic songs that truly showcases the maturity and creativity that we can expect from Ms. White. 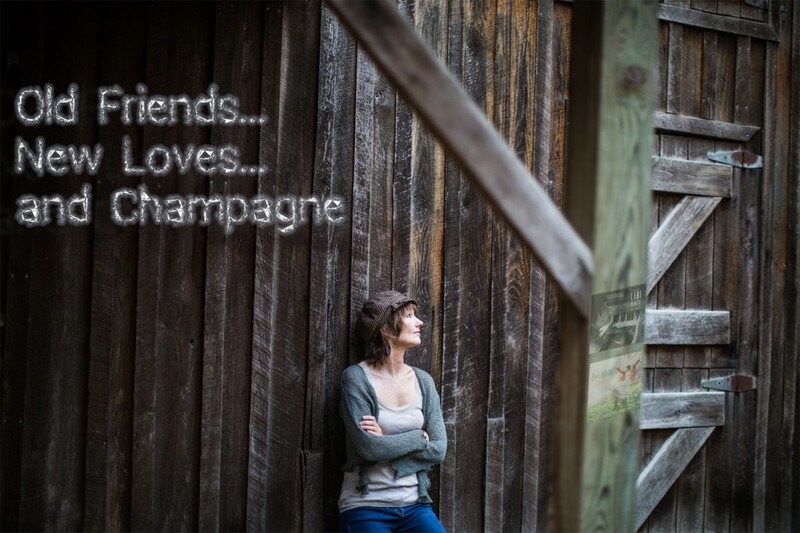 A true connoisseur of fine champagnes appreciates them for the experiences they bring to the senses. The color, aroma, texture and flavor; but most of all the sound. When you uncork a bottle you shall hear a gentle releasing of a soft sigh or hiss. When pouring champagne into a glass, one shall hear the sound like the stirring of leaves in a fall breeze. The smell of champagne is subtly aromatic with a range of delicate bouquets of fruit, floral, woods and spices. Once the refined liquid hits your mouth, it become seductive and rich in intensity. A sophisticated and accomplished songwriter can bring those same experiences into their music. But it takes a true artist in music to deliver them to our senses. 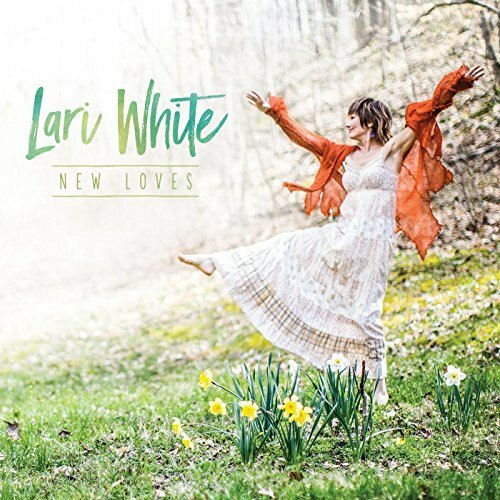 It’s in the New Loves portion of this album that Lari White delivers the key ingredients of artistry, in an intoxicating and hypnotic mentality. It all begins with “Who’s All To Blame.” Performed in a gentle blues style melody, Ms. White delivers a song filled with pure heart and soul. This portion of the album continues to show the imaginative side of Lari with “Kisses and Wine.” Performed in a melody much reminiscent of the 1990’s style, this song is enhanced with the background vocals provided by Kate Underwood. It was the unprecedented unique placement of these vocals that create an experience that draws you into the song. Lari shares her spiritual side with “In God’s Hands.” The melody rides a mythical wave as its narrative is enhanced with the perfect placement of instrumentals. I must commend Ms. White for using the unique sound of the mandolin to bring a middle eastern, holy land feel to the song. Its these combinations of minute additions that classify Ms. White as a true master in her craft. There are many facets of Lari White. As a vocalist she maintains a wide range on the melodic scale. This is best featured in her song “Down So Low.” In this soulful blues style song, she shows her versatile side as she performs the entire song as a vocalist, background vocalist while caring the melody on a acoustic piano. There are two songs on this portion of the album that stand out amongst the rest. The first is “Maybe It’s Love.” This song opens with a psychedelic, psychotic melody, performed in an acoustic guitar, that complements the message contained in the passionately performed lyrics. This song is another that will hit our list of Top Songs of 2017 and earn a nomination for the Spirit Award’s Song of The Year. The piece de resistance comes with the final song on New Loves. One can certainly get lost amongst the gentle elegance of “Champagne.” Performed in a Frank Sinatra Rat Pack mentality, this one is cleverly written and mesmerizing to the point that it captures your soul and brings you on a gentle ride of sure luxury, refinement and sophistication. Lari delivers an inviting timeless song that is quite intoxicating within its flawless resonance. If I were to choose a song that should earn the title of best song of the year, I would certainly choose “Champagne” for it’s true artistry and pure elegance. This one will certainly hit our list of Top Songs of 2017 and earn a nomination for the Spirit Award’s Song of The Year award. You can hear “Champagne” and all the other incredible entertaining songs from this project when Lari White joins us for a cut-by-cut show on Strictly Country’s Friday night radio show Around The Campfire on April 21, 2017. It has been a long time since we have heard such refinement within the artistry of country music. We were so impressed by the sheer and absolute mastery of the songs contained with in this project, that we have pulled the entire album and nominated it for the Spirit Award’s Album of The Year Award. Sweet elegant champagne...with its bubbles that feel like crystalline pearls that explode with various flavors that stand out against a rich and smooth background of ripe fruit and exotic wood. Sweet champagne you are like a symphony that rises and falls upon my palate.